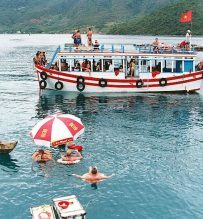 One day boat trip offshore islands of Nha Trang bay, Mun Island with the best opportunity for snorkeling to see the lively coral reefs and multicolored fishes. 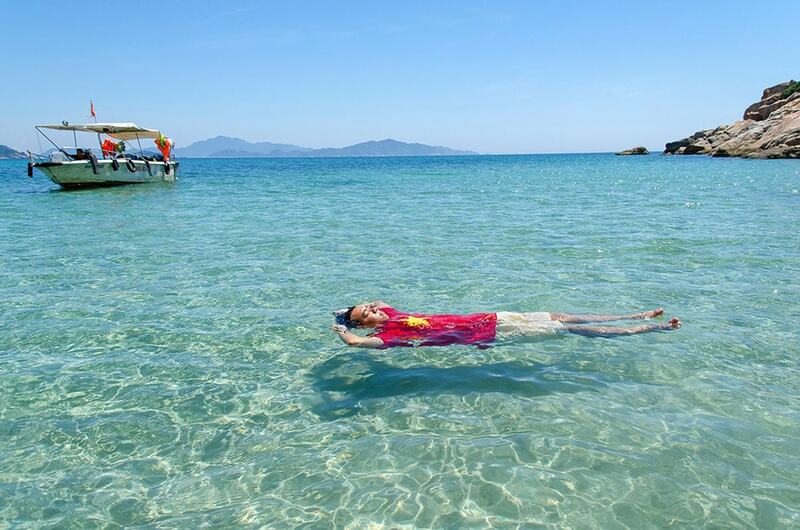 Relax at the pristine Tranh Beach and enjoy exciting water sport activities. 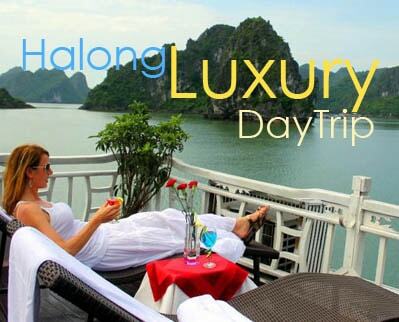 A day to escape to the islands and unwind on a beach. 8.30: Pick you up from your hotel, transfer to Cau Da port. 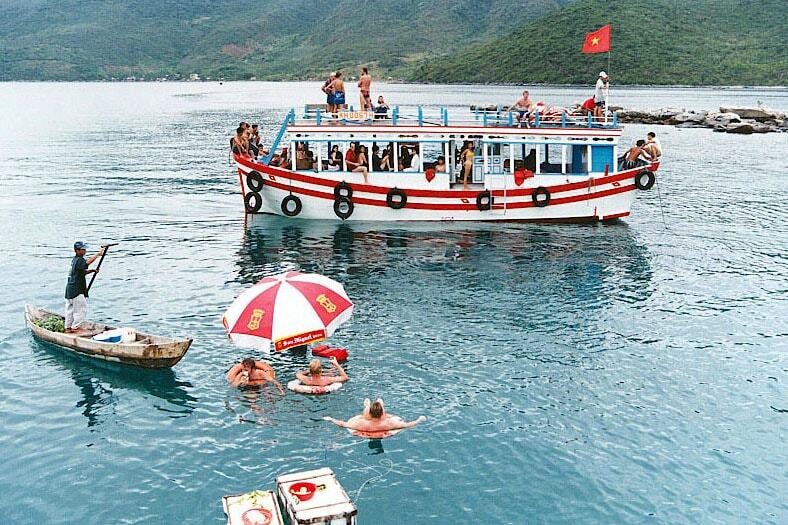 Take a boat cruise to visit offshore islands in Nha Trang Bay. 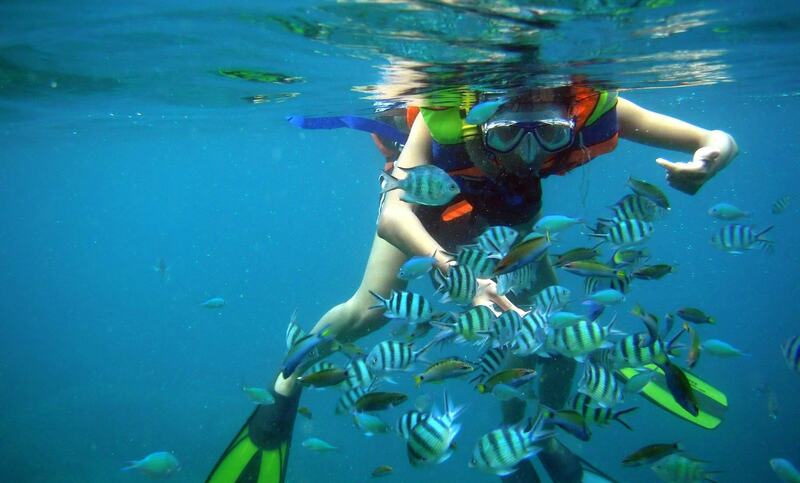 First visit to Mun Island, protected area of the marine park and the most famous island, the best island for snorkeling where you can enjoy snorkeling to see the extraordinary coral reefs and multicolored fishes. 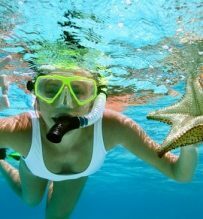 Or enjoy the glass bottom boats view of this underwater world. 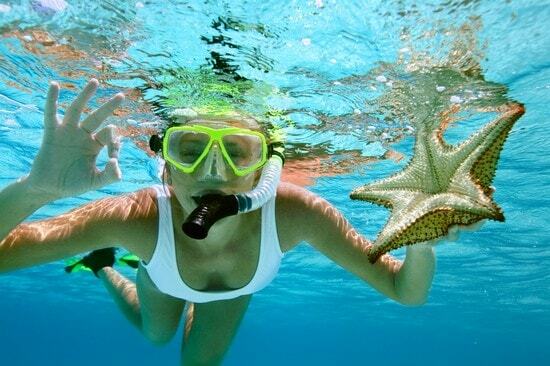 Scuba diving is also available (on request, extra charge). 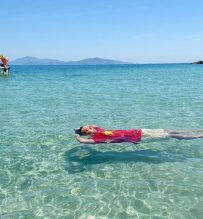 Continue to Tam Island, relax on pristine white sandy beach, swimming, relax on a deck chair or get involved in water sports: Mini golf, kayaking, parasailing, jet-ski, banana boat, fly board and sea walking experiences available (your own expenses). Enjoy delicious lunch at the restaurant. 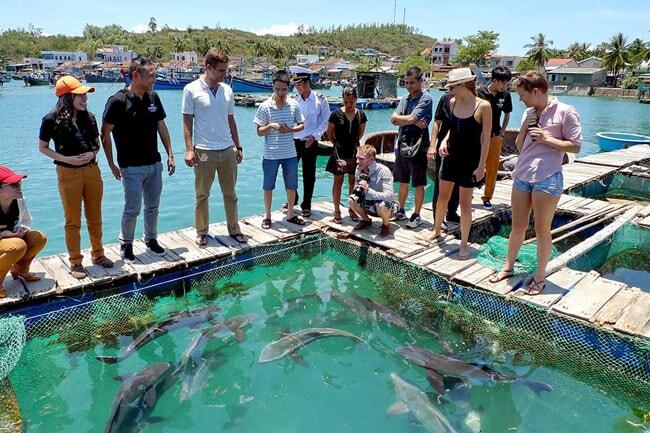 On the way back, visit a fishing village and Tri Nguyen Aquarium. 17.00 : Finish trip at your hotel.